. . . . and may even protect their eyes from nearsightedness! 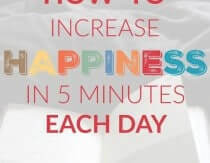 (source) Oh and it also gives me some time to enjoy a bit of quiet, or get outside and spend some time in the sunshine as well. Homemade bug spray – Has a light finish that some people prefer. This is my favorite to use with children under two because I can spray their clothes instead of their skin. 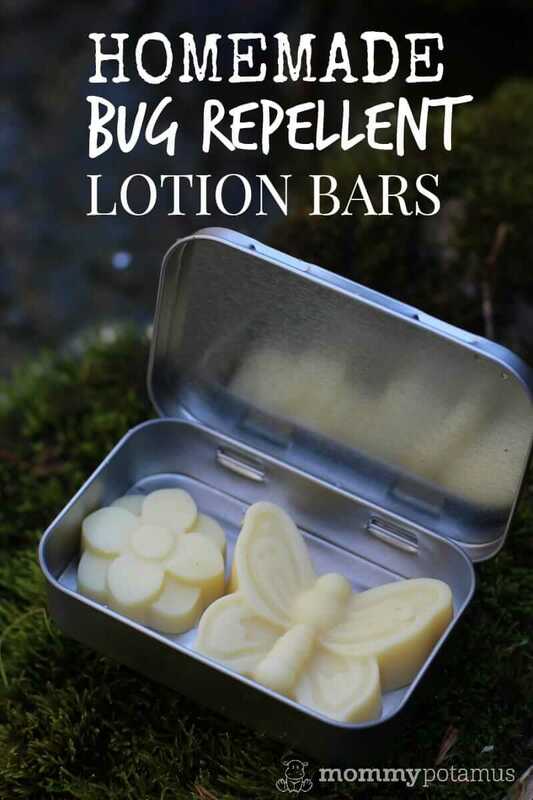 Bug repellant lotion bars – Scent tends to stay strong longer than the spray, so fewer applications may be needed. Also nourishes and hydrates skin, which is a plus for some people. Also very convenient for travel because there’s no risk of it leaking inside your luggage. Yes, this recipe is safe for kids over two at a 2% dilution. For kids under two I avoid topical application in most cases, instead opting to spray their clothes with this homemade bug spray. What about pregnant and nursing moms? Special note on dilution ratios: For general use, a topical dilution of 1% is usually recommended during pregnancy – the typical dilution suggested for adults is 2.5%. However, there are instances when a higher dilution ratio is considered appropriate after the first trimester, such as to repel bugs. The dilution ratio in this bar ranges from 2% (84 drops), which is considered appropriate for regular body use, and 3% (126 drops), which is considered appropriate for once-in-awhile use. For a general repellent I’d go with the Shield Me synergy. For a tick specific one I’d go with the same one I use in my homemade tick repellent – geranium bourbon. Fill a medium pot with about two inches of water and bring to a boil. Place a smaller pot or heat-proof stainless steel bowl inside the larger pot to create a double boiler. Add coconut oil, beeswax and cocoa butter to the bowl/pot. Stir occasionally until it is fully melted, then remove from heat. Allow the mixture to cool a little before adding essential oils and vitamin E (if using). Note: If you measured ingredients by volume instead of weight, you can double-check your final volume to ensure that the essential oil dilution is correct by by pouring the liquid into a measuring cup. For a 2% dilution, add 12 drops essential oil per ounce. For a 3% dilution, add 18 drops essential oil per ounce. 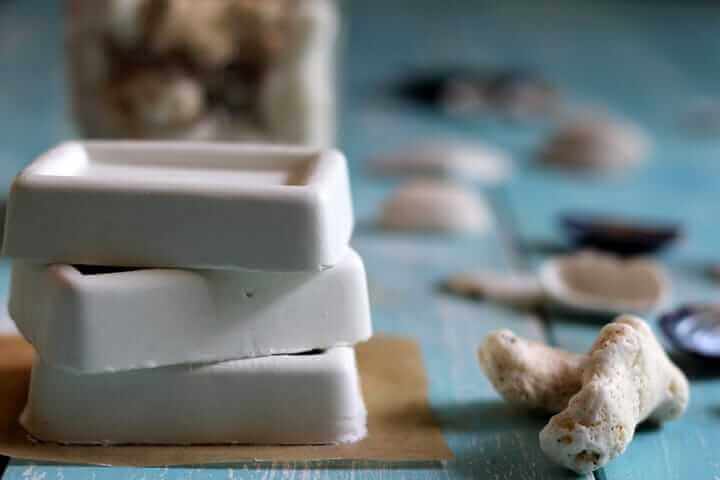 Pour the liquid into your molds and allow lotion bars to cool fully before unmolding them. If you want to speed things up, pop them into the fridge or freezer for ten to twenty minutes. Rub lotion over the desired areas, then allow a few minutes for it to absorb. Reapply every 2-3 hours, or more often if needed. What age would you use these bars on? What would you use on a toddler younger than 2? Would you share your spray recipe also please? Thanks for all your great info and recipes, I find myself at your site a lot these days! 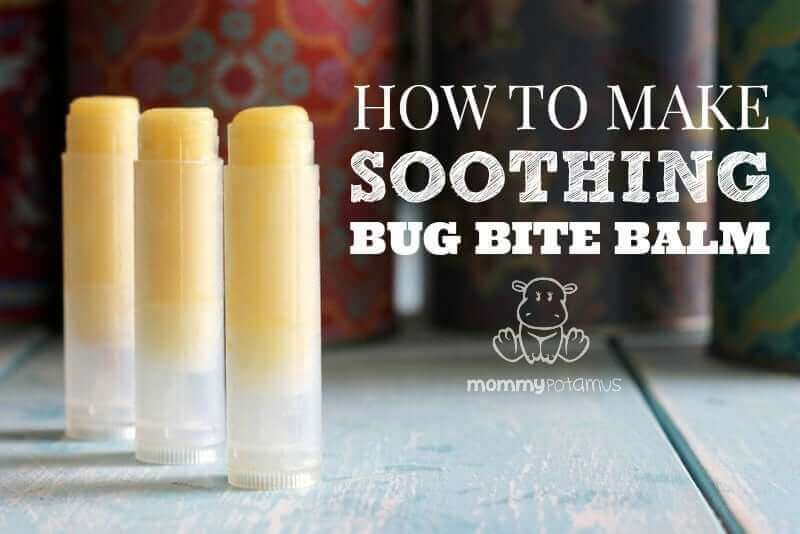 Thank you so very much for your recipe on the bug repellent lotion bar. My grand children live in Texas and it is really needed for them. Mosquitos love my daughter as well. I will be back many times to your blog. I really have enjoyed it. Just wanted to make sure the amount of cocoa butter in the no-scale version is correct? Yes, the amount is correct. Do you sell any of your bug repellent products? Etsy maybe? These are super cute! I recently discovered the best bug repellent to be a very low sugar diet. That’s right, when I eat very low added sugar mosquitoes don’t bite me. I’m curious if anyone else has noticed this. I’m glad to learn that sugars in our blood draws bugs to certain people. I discovered this when I was in my late teens. People have always made fun of me or call me crazy! I’m overweight and have been most my life, so it has always made sense…to me. Can’t wait to go camping this year! I noticed that there was grapefruit in the synergy blend that you used. Can it still be used in the sun? I’m just wondering about the citrus oil (grapefruit) in the essential oil blend. I know bugs don’t like citrus, but I thought citrus oils were photo-toxic and not recommended for skin products if you will be in the sun. Thoughts? Thanks! Plant therapy is considered phototoxic? Or, you considered the phototoxicy of the blend before formulating? That’s another confusing sentence. It doesn’t make sense to me and isn’t a proper sentence. I, too, am wondering the same thing as Paula Jean. Plant Therapy is a company, so they are not phototoxic. 🙂 You are correct, though, my sentence was very confusing! I’d just come in from cleaning out my shed and all three kids were hungry, so I was rushing. I’ve edited the sentence but the short of it is that the blend is not phototoxic. It uses grapefruit essential oil but at a dilution that is so low it doesn’t cause a problem. I’m so confused about the open bottle of vodka?. I didn’t see vodka listed as an ingredient in your recipe and you didnt mention drinking it. What’s it for? Anyone else wondering the same thing? Oops! It the base for my homemade bug spray, but I see now that the connection may not be clear. Essential oils and water don’t mix, so I use vodka to disperse the oils evenly in the spray. 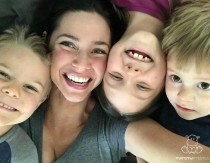 Thanks so much for your question – just clarified in the post! Where do you buy your vodka if I may ask?? Is there any reason I couldn’t add geranium oil to the Ban the bugs synergy oil to make an all-purpose bug and tick repellant? You absolutely can. Just make sure the total number of drops stays the same. Thanks for sharing this recipe, I do have a question though, is the 126 drops of essential oil correct? That is over 1/2 of a 10ml bottle of EO, even the child-safe oils that seems to be a lot. I understand the oils/solids are over 1/2 cup but I have never used that much in a product before so that is why I am questioning. Thanks in advance for clarification. Yes, it is correct. When you consider the volume of the oils, it’s only a 2-3% dilution. 2% is considered safe for daily, whole body application and 3% is considered safe for more occasional application. Unfortunately, the final amount of shea butter in the recipe would be much more than intended. 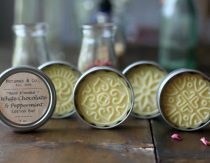 There’s a lot of “air” in the volume of the grated cocoa butter that goes away when it is melted, yielding a smaller volume than originally measured out. I measured the amount when testing the recipe to make sure that the essential oil dilution was appropriate, but unfortunately I don’t recall what the liquid volume was. 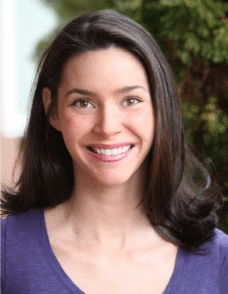 Hi, thank you so much for all your recipes and posts, I have been reading your website for a while and always find exactly what I’m looking for! Quick question, how do you use the vitamin E gelcaps? Isn’t the heat required to dissolve them going to damage the vitamin? Do you cut them open? Blend them? How do you measure the amounts? Not sure how to handle this, thanks! Hi, I was wondering if you could explain your math in the dilution? For a 2% dilution rate, you would use 18 drops per 1 ounce. You recipe is approximately 3 1/2 ounces, for a total of 73 drops for a 2% dilution rate. If I round that 3 1/2 ounces up to 4 ounces, I still only get 72 drops for a 2% dilution. A 3% dilution for 4 ounces would be only 108 drops. Hi, I live in holland and they don’t sell the Shield Me essential oil synergy here. Wich essential oils can i use with the same result? I would love to have a combined product to repel ticks and mosquitoes. I’m fairly new to using essential oils. Could geranium be combined with the Shield Me? Have you ever tried that? I love this recipe but would love to know the supplier you used to get the tins from? I truly appreciate your wisdom, knowledge, and time sharing all of this with us! I am allergic to bee products so shy away from using bees wax. Do you have a substitute you would recommend? Carnuaba wax might work, but the bars would be much harder and possibly difficult to apply. 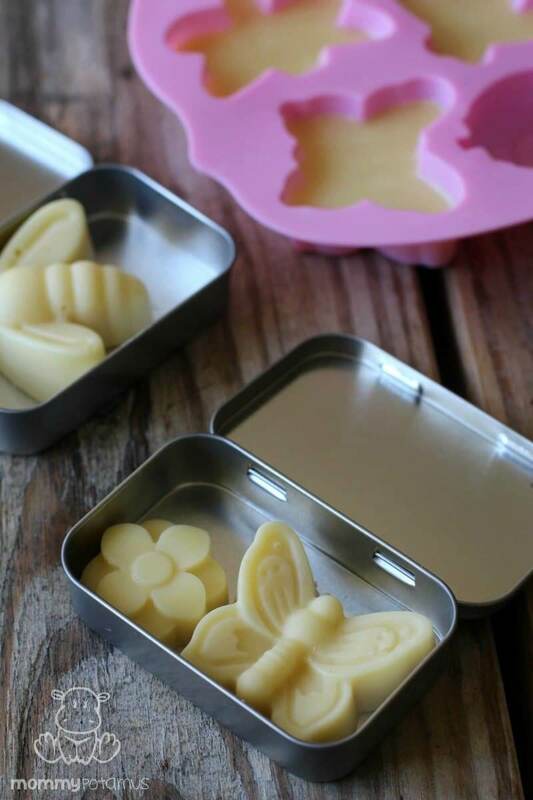 You might want to use less than the amount of beeswax called for and see if that works. Have you notice this is successful in repelling wasps? My son is very allergic to their stings. Hello! I am wondering if there is something else I could use instead of the coconut oil as I’m allergic; would more cacao butter be ok to use? 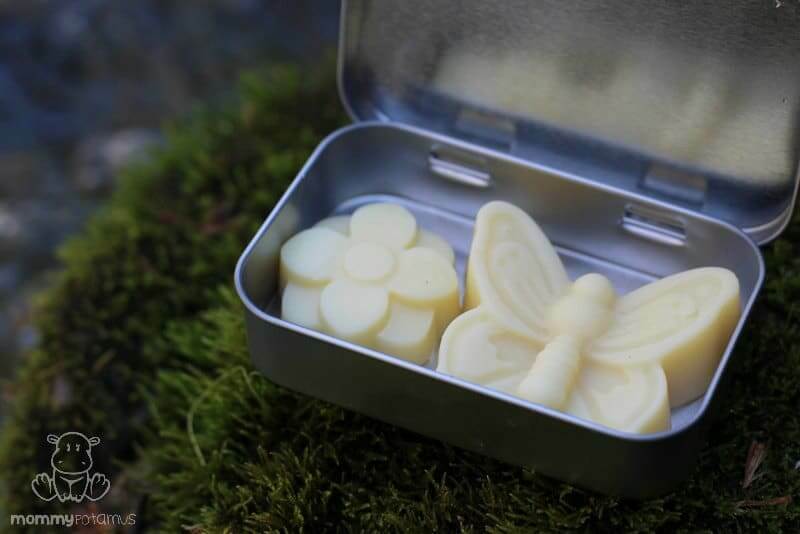 What grade of coconut oil would you use to make these insect repellant bars? Gold, Green or Pure? I LOVE that idea! How cool is that!? And where did you find a mold for them? I’m a newbie in soap making. You blog helps a lot in developing my skill and knowledge. Very inspiring. Can i replace Shield M with Lemongrass EO? I’m not familiar with that blend, sorry. Just found your blog this morning. 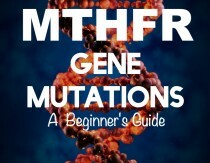 Great information for a beginner. I have sheep twallow rendered and in my freezer to try candles, lotion and soap. 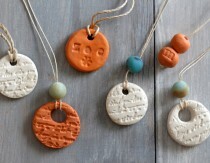 Any suggestions on what equipment I would need to make these that one just can not do without? I love this recipe! Thank you for sharing! Would you please share where you found the tins to fit the awkward shape of the dragonfly & butterfly? I have searched and found nothing deep enough.